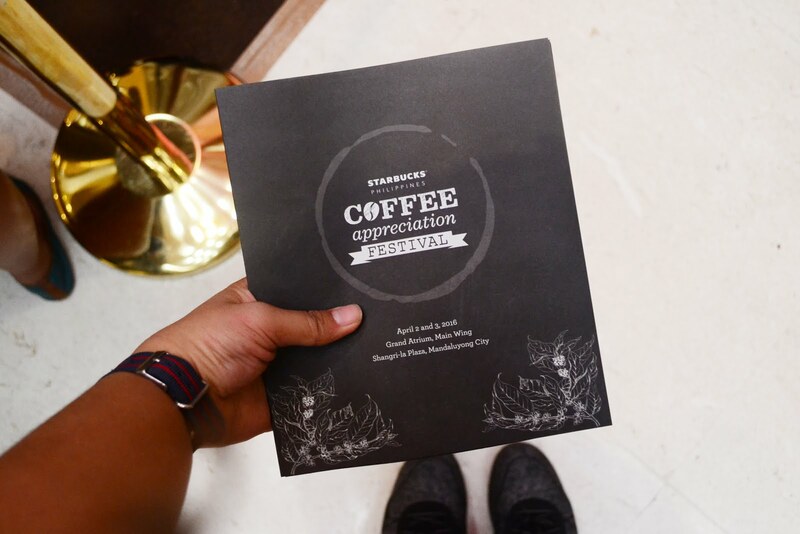 This time around, Starbucks' Coffee Appreciation Festival will show us how coffee appreciation is done "the Starbucks way". 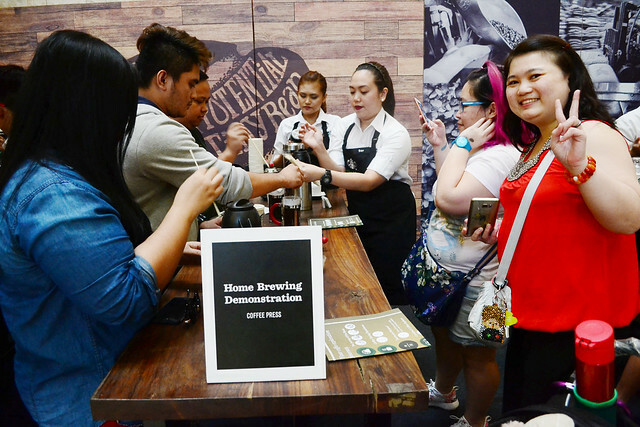 This two-day coffee exploration event showcases the world of coffee, featuring everything you can possibly know about the world's most popular beverage, from its history down to the Starbucks Roast™. 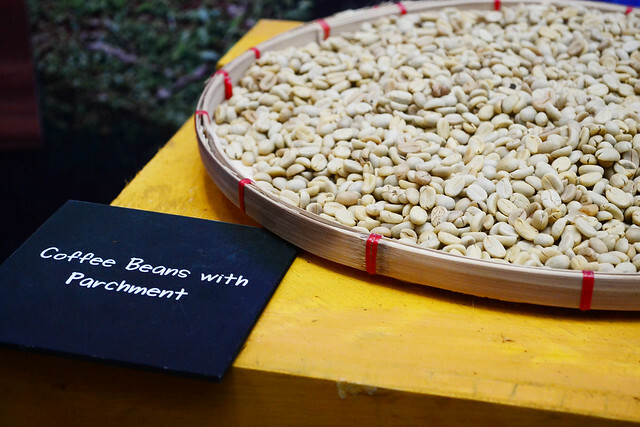 As we were taken through the coffee journey, there were real-time coffee beans in different states shown as samples. 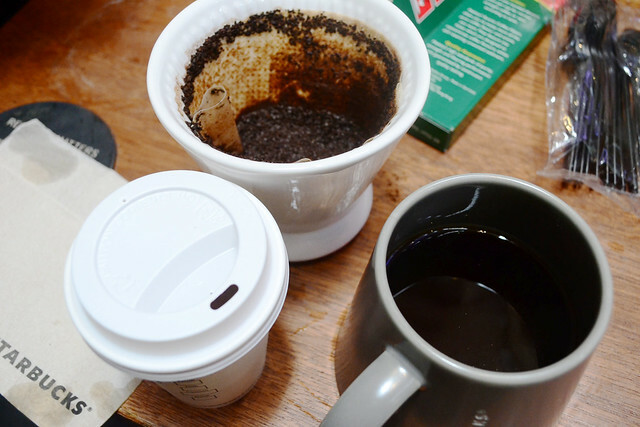 It's great to see how each coffee differs from one other and how people have different preferences over unique tastes of coffee. In this activity, I did found out for the first time about the Espresso roast. 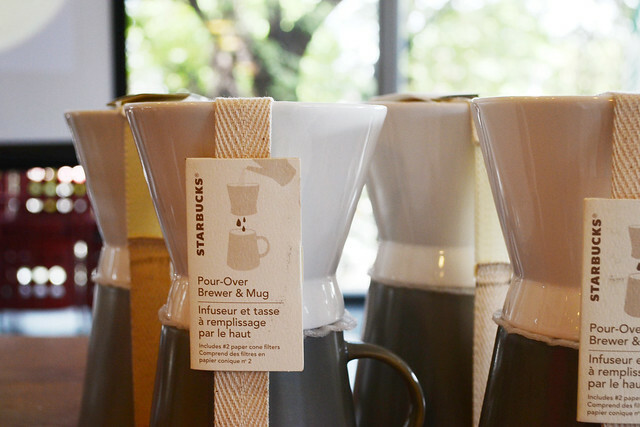 It is the 4th kind of roasting that Starbucks uses on our coffees since it retains the brewed flavor up until we finish our cup. There are different flavors of coffee to try from. 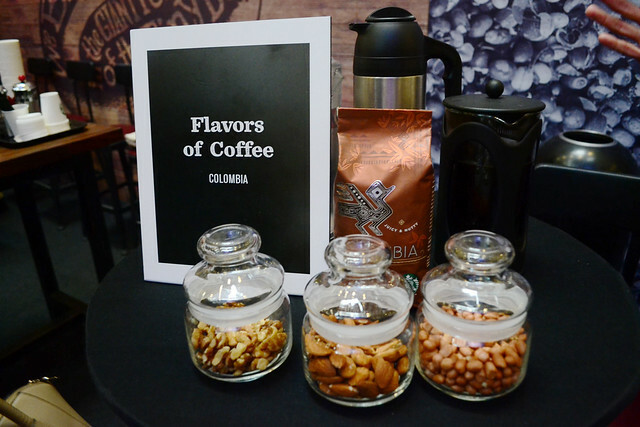 Yesterday, we get to try the single-origin flavors of Colombia and Caffe Verona. Also, we did some little coffee pairing activity to appreciate the fusion between the food and single-origin flavored coffee. 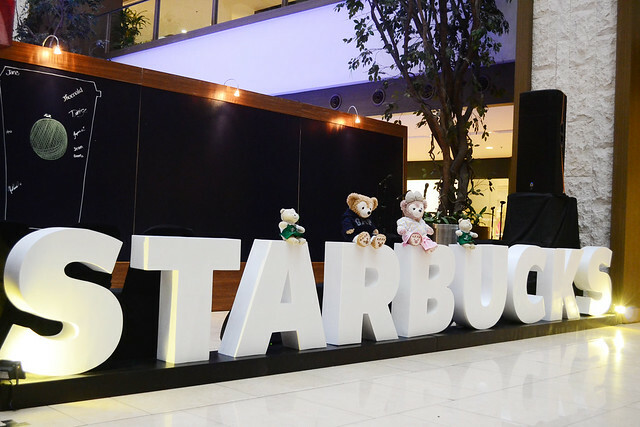 This station is headed by Pao Legaspi, the 2015 Starbucks Philippines Coffee Ambassador. 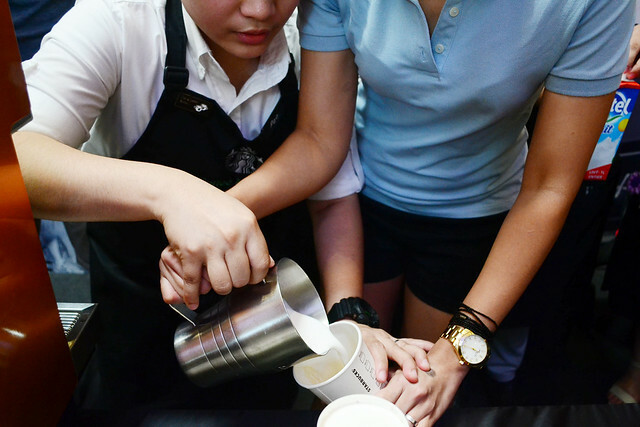 She's a breeze to talk to and at the same time, she's very patient to teach willing volunteers to make their own Cafe Latte art for the first time. The barista experience is real, guys! 5. 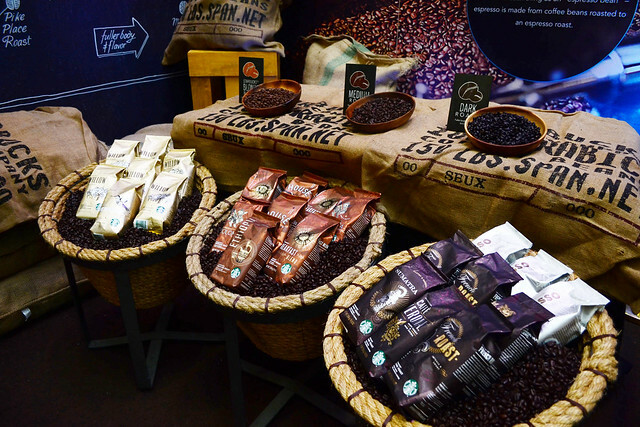 Score Starbucks whole beans and merchandise for 20% off! As stated in my Starbucks Coffee College blog post, I've been lusting to get a classic Coffee Press for myself at home. But during my journey, I still got torn choosing between a Pour-Over Brewer and the classic Coffee Press. Both of them are so easy to do at home and they each bring out the best in the coffee as well. 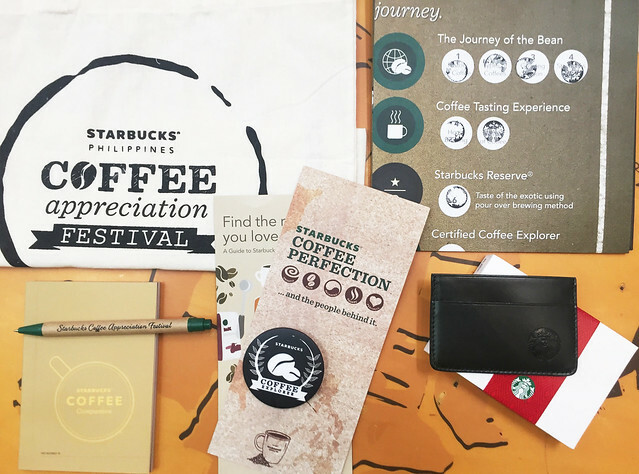 After all the lectures and brewing demos, the first 500 to finish the World of Coffee journey gets this Starbucks Coffee Explorer kit. 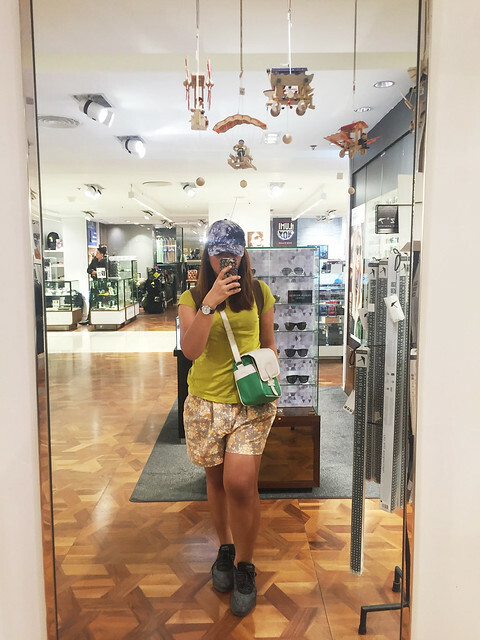 This includes the festival's tote bag, a card holder, a Starbucks Coffee Explorer Badge, a Starbucks Coffee Companion notebook a pen. BONUS! 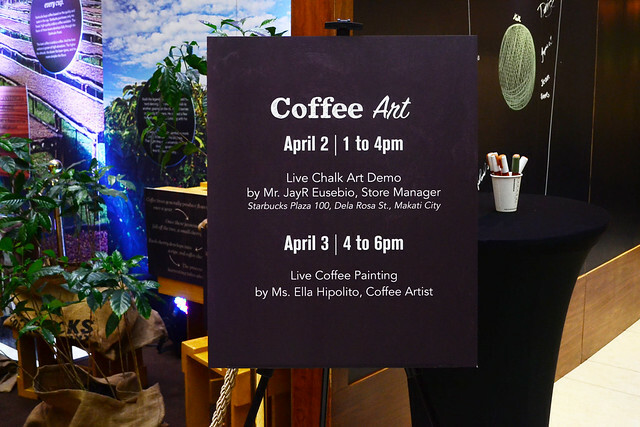 You can also catch the Live Coffee Painting happening today at 4:00 to 6:00 pm by Ms. Ella Hipolito. I never hear of events/festivals going on like this where I live in the UK. Maybe because I don't live in the capital city but I would love to attend something like this. We are huge coffee drinkers in my house and I'm also dying to try out latte art!! I love coffee. Its lovely scent is enough to make my day. Good thing Starbucks has this initiative to give coffee lovers an idea on how their favorite drink is made. Hope they'd also talk about sustainability and support to local (Pinoy) coffee farmers.